The short article “Research Reveals Popularity of Live Blogging” written by the Guardian highlights the growing popularity of live blogging in today’s information-hungry world. The conventional online article is no longer the main news source; new surveys being conducted by the City University London on the subject have shown that live blogs are achieving an impressive 300% more views and 233% more visitors than the static conventional article. Live blogs have even outshone picture galleries by over 200% more views. Live blogging has become one of the fastest growing ways for gaining news information in today’s technological world. Instead of writing full articles on major news stories, live blogging publishes small tidbits of information as they come in. The researchers came to the conclusion that people are becoming more receptive to these small factoids because of their conversational nature. Live blogging allows for the reader to gain access to breaking news stories as soon as they happen. Major news sources like CNBC and BBC have even taken to twitter which has become one the major platforms to conduct these live blogging factoids that embed links to the organizations website. I know that I’m the unpopular opinion, but I find live blogging very cumbersome. When I hear about something going on in the world I want to get as much factual information as possible without having to navigate a whole website for it. I’m still a big fan of the conventional news article because all the facts are checked, unlike live blogging. The nature of sending out speedy news bits is that not all of the information can be fact checked before it’s blasted to the public. I personally think that the constant stream of information, while nice to attain news in theory, has the underlying agenda of having people click continuously through an organizations website which would generate more views. Though I’ve expressed mostly my negative opinion of live blogging, I do think that it is a great way for the reader to get their information initially. I would be lying if I said I didn’t follow major news sites on twitter and have CNN’s application downloaded to my phone. I like the initial contact of the breaking news because otherwise I’m sure I wouldn’t catch it. After that, however the constant ping of my phone gets a bit overwhelming. As I previously mentioned, I really like the idea of live blogging in theory, but it’s just not my cup of tea when trying to gain news information all at once. Would you consider joining a blogging network? If you could imagine a network of blogs where your blog/voice might fit in, what would it be like? And how would the bloggers within that network support one another? I’m not entirely sure if I would join a blogging network. I imagine if I was very serious about wanting to run a blog that would get a fair amount of traffic I would be more inclined to join one and then hopefully use it as a leg-up to get to where I want to be in terms of viewership. I would imagine my network of blogs as definitely having to do with lifestyle or even books, and obviously wine. It would probably be a network composed of people in a similar age bracket blogging about the same types of things that interest me. I do imagine it as something similar to POPSUGAR Select because a lot of these different topics tend to intersect. Food and wine of course isn’t necessarily gender specific at all, so maybe it wouldn’t be as female oriented as POPSUGAR Select seems to be. However, the vibe of similar lifestyle seems to flow coherently in their network and I really appreciate that aspect of it. In terms of support I think that just knowing that at the very least you have an audience of other aspiring writers or bloggers being able to follow up on your blog is more than enough incentive to keep going despite thinking that you aren’t reaching any people. Having a hand reaching out to help is never a bad thing, and even if you have one person reading or listening to what you have to say is still a great ego boost. I think we are all placated by knowing that someone somewhere might feel the same way we do about a certain topic. Theres a sense of security and accomplishment in having some camaraderie in whatever aspect of our lives we choose to pursue. I think that definitely carries over in the idea of these blogging networks. 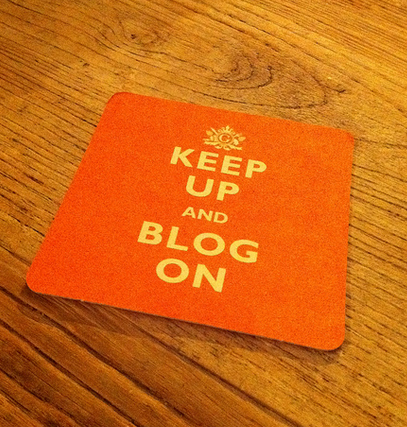 It is extremely important to know what you are doing when starting a blog. Of course you will learn many things along the way, but it is always good to follow helpful advice and have some guidance when you first begin. The first article I read, “Guest Blogging: A Beginner’s Guide” by Kerin Foster, explains the importance of following specific steps to successfully guest blogging. She explains how getting your guest post out to the right person is an essential part of guest posting. The first piece of advice she gives is to do your research and take notes when doing so. I think taking notes during this process is extremely critical. The next step to success is to reach out to potential new places to guest post. During this part, it is important to pay attention to your writing before submitting. What I felt was most important from her advice was to proof read before sending an email to get a pitch to guest post. I also liked how she said you should be as close to perfect as you can be with your writing when reaching out to get a pitch. Once you pitch your guest post and get it, you’ve now reached the fun part. You finally have the opportunity to write about what you’re a pro at. All of these tips can help you become successful at guest posting. Before reading this article I didn’t know much about guest posting at all or how to go about doing it. I really found this article to be extremely helpful and I also liked the emphasis on proofreading continuously to avoid any issues throughout the process. 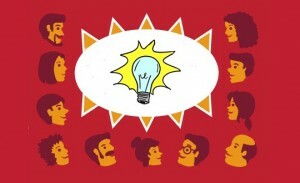 The next article I read, “7 Essential Ingredients for a Successful Collaborative Blog” by PodJamTV. It begins by explaining how challenging it can be to maintain a blog and how there are so many different types of blogs that can be set up. A collaborative blog is explained as a type of blog where you have more than one author contributing content and maintaining the website. It is also explained that this type of blog can be extremely tricky to set up because of the different minds and personalities that will be involved in operating the site. PodJamTV gives 7 helpful tips that they believe are essential ingredients that must be present when starting the building process of a collaborative blog to assure that you choose the right people to work with. The first tip and probably the most important, is that you all must have the same goals in order to be successful. It is important to all make decisions as a team and to always try and all agree on certain issues related to the blog. Next it is said that you should all have the same level of commitment, which is a great way to show how everyone’s point of views can work together. All members of the collaborative blog should also all have the same level of commitment, because it is extremely important in becoming successful. Another important factor in becoming successful in communication within the collaborative blog, is communication and having a set time for meetings to go over future plans for the blog. The most important factor in being successful is teamwork from all members and making sure that all expectations of the members are set at the beginning to avoid any issues. The last tip given by PodJamTV is to make sure that you are all having fun while contributing and writing for the blog. I think that these tips can be very helpful when creating a collaborative blog and can lead to an extremely successful blog. Both articles give extremely helpful advice to assure one’s success when trying to accomplish different types of blogging. I also enjoyed how both articles emphasized the importance of having fun during each step of perfecting the posts. 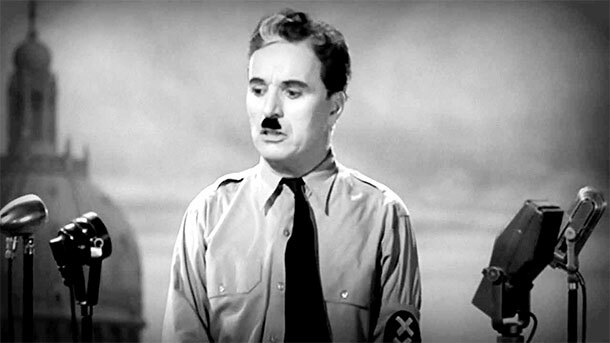 Have ever wondered how you could possibly write a post on a particular subject and somehow it could be added to someone’s blog? In the article: “Guest Blogging: A Beginner’s Guide” by Kerin Foster, the author gives beginner bloggers who are interested in having their thoughts expressed besides making it into a comment on a blog post, there are blogs that encourage people across the internet to make a guest post. The topics could range from sports to fashion jewelry to anything that you want to talk about. The author presents her tips to the bloggers that are interested in easy steps. The steps are easy and they consist of researching your topic, finding a blog that is looking for users to submit a guest post, and submitting the post to the editors. The final step is to see whether your post is accepted or not, so patience is a virtue in this sense. For example, during this past semester, our class was assigned to write posts onto the Rutgers University Admissions Blog, which is an example of a guest post on the blog. I researched my topic on how to get into the Business School from the School of Arts and Sciences from myself and friends’ experiences. I was able to ask Lee Ann Dmochowski, who is in charge of managing the Rutgers University Admissions Blog for the credentials for posting on the site’s blog. I had to wait for awhile before she had sent me credentials for allowing me to post on the blog, but when I received them, I was able to make a guest blog post on the site. It is really cool to make a guest blog post because students around the world who are interested in attending Rutgers University will be able to see my guest blog post or another post from a student. 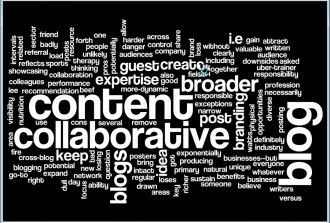 In the article, “7 Essential Ingredients For a Successful Collaborative Blog” by Marty McPadden and Misty Belardo, the authors write about how collaborative blogs can be successful on the internet. The “ingredients” they mention consist of Goals, Talents, Commitment, Communication,etc are vital and must be the same for everyone contributing to the blog. Without these elements the blog might not succeed on the web and it will lose followers are people will not bother to see the content because the blog is too unorganized. For example, the blog, Bleacher Report, consists of many sports writers that write and contribute to many sports that are being played all over the country from football to cricket. These writers have a common goal, which is for readers to be informed about breaking news in sports and having different articles that relate to readers’ favorite sports teams. The writers do not go off topic or contradict each other’s articles on the blog because if they did, it would leave reader’s confused. I believe that Bleacher Report follows these 7 ingredients mentioned in the article, which proves why they are so successful. Personally, because of Bleacher Report’s content, I look at their site more than I look at ESPN. In the post Life as Instant Replay, Over and Over Again, by Jenna Wortham, we are immediately thrust into an example of her point that is likely familiar to us all, spoilers. Using the idea of a “Breaking Bad” spoiler and how it can travel through and be obsessed over in various forms of social media, for days, and sometimes weeks after it’s air date, Wortham reminds us all that the web is consistently focused on the past. She breaks the web down into two distinct categories. The replay Web and the real-time web. This was quite interesting to me as I’d always just thought about the information we process on the Web as all being the same, news as being the news, etc, no matter when I received it or how. If I received something via a Reddit post or an old article shared over Facebook, it always SEEMED the same. However, I see now the importance of making a distinction between the “replay Web” of past information found on Vine and Facebook etc and the “real-time web” sources like Twitter. Wortham points out that most of the time, the most fun and interesting information about a topic comes from the commentary and reactions of everyday average Joes like you and I. I couldn’t agree with this more. I’ve increasingly found myself over the years spending twice as much time reading through the comments of any news article than I spent reading the article itself. I can get lost on Reddit for hours reading through peoples opinions on relatively silly subjects that were only briefly covered somewhere “important”. I have to say that I am glad that we have this replay dynamic going on. Whereas a decade ago (just throwing out a relatively short number) we would have had trouble with the pace of information flow that we are working at now, we have built a system that can catalog and make easily available at the search of a Tag or Keyword, any bit of information that has crossed the web. We’ve made it possible to have a slew of information cross our path without having to absorb it all, and depending on the topics that you are interested in, the “replay internet” makes it possible for you to go to one spot and have all info on your favorite subjects translated, and thought out for you. For instance, Dennis Rodman goes to North Korea. You see this headline in the news and quickly read through the article. It’s interesting enough, but it’s new news and they know very little. Minutes, hours, a day later they are onto something new and even though you’re still interested, it’s over. Or is it? Flip to Reddit and you’ll find thousands of discussions on the topic just minutes after it’s initially reported. These commentators have brought together the combined facts of a multitude of resources, have taken the time to think out their ideas (many of them of course are just jokers) and have done a lot of the information processing for you, leaving you with distinct understandings, opinions, and facts to form your own opinions on. This is incredibly important to someone like me who values information very highly. I love to learn and the more information I can absorb, the better. I’ve felt over the years that while I’m learning so much, I’m not actually learning anything. I struggled trying to figure out why this was, but this article made it clear. I’ve been absorbing so much real-time web, but it’s just surface content. It’s the replay web information that becomes what’s important, and the place where you can actually get most of the facts in one place. The idea of Present Shock that Douglas Rushkoff is attributed with, where people are stupefied by the “never-ending onslaught of status updates…” is actually the perfect term for what I think I’d been experiencing the last few years. Always trying to find what is new, and getting lost in that rather than what is actually important. The news hasn’t changed, the constancy and availability of it has. Now that we get to know about EVERYTHING rather than just what a news network has deemed important, it’s increasingly harder to pick out the important. Until, of course, you switch to the replay web. 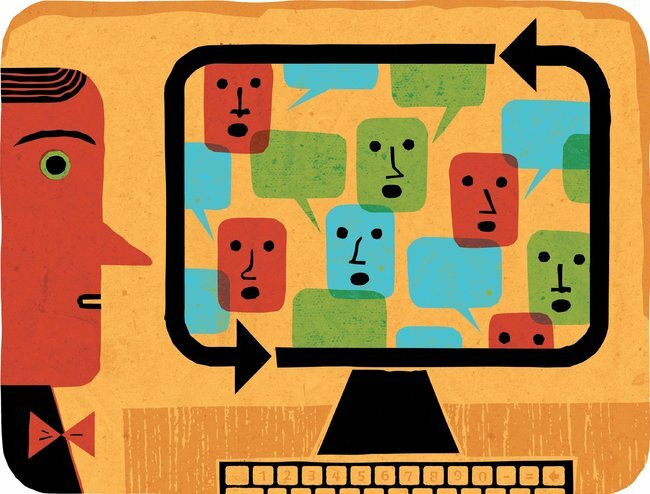 Is Crowdsourcing Hurtful or Helpful? The article by Jeff Howe “The Rise of Crowdsourcing” talks about how with the technological advances crowdsourcing is not only becoming a more viable solution to problems as far as cost and efficiency but it is also pushing out outsourcing and people who specialize in specific areas of work as well. To put in layman’s terms, crowdsourcing is glorified group work to find the solution to problems. People from all over the planet are able to contribute. Some sites offer a fair amount of money for your work if you specialize in something while other sites such as Mechanical Turk by Amazon (as Howe mentions) there is not much monetary rewards. In his article Howe brings up examples of how this can be a good thing but at the same time there are people that suffer from crowdsourcing. Howe used the example of a photographer in the very beginning of his article stating that “In 2000, Harmel made roughly $69,000 from a portfolio of 100 stock photographs, a tidy addition to what he earned from commissioned work. Last year his stock business generated less money – $59,000 – from more than 1,000 photos. That’s quite a bit more work for less money.” When there is so much information and in this case photographs available at the blink of an eye because of the technological advances it dilutes the products value. At one point you would pay someone a lot of money for a couple of images or images of something particular you were looking for but with crowdsourcing you can have a lot of images for a lot less money. It makes sense for businesses to use crowdsourcing because if they spend less money but make the same amount then that’s a greater profit for them obviously but for artists or photographers we can see how crowdsourcing is harmful to their craft. Another reason why crowdsourcing can be beneficial is to world problems. With the internet you have to ability to connect everyone at the blink of an eye, whether you live in Australia or New Jersey, you can work together to find a solution to a problem. When you have a greater amount of people working towards one goal the chances of getting what you want done obviously rise. One example is with the missing flight of the Missing Malaysia Airline. People from all over the world are trying to figure out what could have happened, where the plane is, what actually went wrong. You have all of these people from all over the world with different types of backgrounds and education trying to reach a common goal the you will eventually have results and solutions. Overall crowdsourcing definitely has it’s benefits, but as with most things there will be the people that are not able to adapt and will suffer because of it. Jeff Howe writes a very interesting article about the rise of crowdsourcing with the advent of the internet. From the very beginning, Howe contrasts crowdsourcing with outsourcing, to remove any confusion regarding the two terms. Although both terms refer to employment of an alternate source of people at reduced cost, crowdsourcing is the evolved form of outsourcing. Advances in transportation allowed for access to resources across the nations. Jobs that were once performed in America could be performed by workers in India or China, where wages are lesser and restriction to businesses fewer. Businesses flourished as profit margins increased as a result of outsourcing. Crowdsourcing is the modern day evolution of outsourcing. Howe defines the term as the employment of a crowd to perform work that could instead be performed by employees. Moreover, businesses need not actively shift work designated for employees to the crowd. They can assign tasks directly to the crowd at lower costs, while presenting alternative forms of work for current employees, such as data management. Labor for the crowd may be performed collectively or individually. The crucial requirement for crowdsourcing is that businesses must delegate tasks via an open call format, such that a large network of laborers may perform tasks for companies in exchange for monetary compensation. Such a method of work performance is extremely effective and indicates that hobbyists may be as capable as traditional employees. In fact, Howe presents various examples of tasks completed by the crowd, which company employees could not achieve. This notion of crowdsourcing has only come to existence as a result of the internet. The author notes that the internet has made it possible for businesses to hire laborers regardless of location, as long as they have access to the web. For years, companies sought cheap labor overseas. With advances in technology, laborers may be hired for work practically anywhere because jobs are increasingly reliant on the internet (i.e. software development, drug formulas, etc.). For example, research and development sectors of corporations (R &D) are increasingly relying on the external intelligence of the crowd to solve problems that have stumped corporate employees. InnoCentive is a pharmaceutical company that pays solvers $10,000 to $100,000 to find new solutions for drug development. iStockphoto is another specialized company that relies on crowdsourcing to offer affordable images to the public. These photos are often taken by amateur hobbyists who demand far lower prices for their products than professional photographers. Other companies offer crowdsourcing for the masses. Amazon’s Mechanical Turk helps companies to search for individuals who can perform tasks computers are less effective at. These human intelligence tasks (HITs) offer small compensation for tasks requiring little time, such as transcribing podcasts or writing product descriptions. 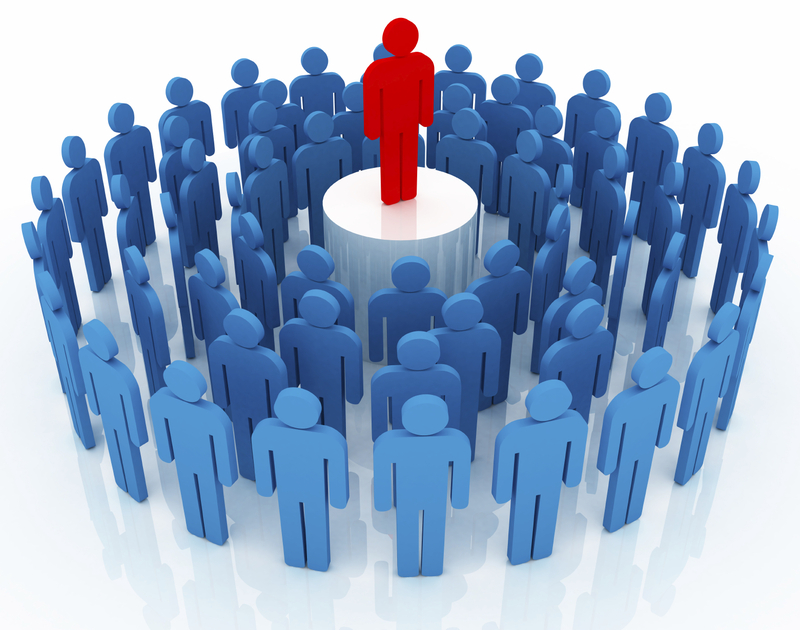 The blogosphere represents an effective element of crowdsourcing. Bloggers are essentially the “crowd” companies often seek to complete tasks. For instance, a journalism company may be seeking writers for an editorial piece on a specific topic. After consulting a writer’s blog, the company might decide to hire the individual based on his/ her work on the blog. Thus, blogs often supplement a candidate’s resume, especially when that individual is considered for employment. In short, the rise of crowdsourcing is evident in today’s society, and bloggers stand at the forefront of this movement.